Customers in the United States can purchase all of our products online using a credit card (Visa, Mastercard, American Express) at the Kinesis Store using the “Shop” link at the top of the page. Navigate our product categories (including Refurbished) and use the “Add to Cart” button on each product page (Note: some products require the selection of options first). Please be sure to provide an email address you check frequently. If there are any questions regarding your order, Kinesis sales will contact you through email. Note: Please be sure you enter your complete shipping address correctly. If you are shipping to a place of business, make sure to list the name of the company and building/suite number. Residential orders must always list apartment numbers if applicable. An incomplete shipping address will cause a delay in your delivery and may result in additional fees. Our online store only supports purchases that are shipped to and billed to a US address. For international purchases please visit our Reseller Page or Contact us directly. (800) 454-6374 (US Only) or (425) 402-8100. Press “1” for Sales. Our business hours are Monday- Friday from 8:00am to 4:30pm Pacific Time. You may leave a voice mail message at any time if you can’t reach a sales person and we will call you back as soon as possible. Note for customers outside North America: If you call, please include in your message an email address and/or fax number. We are not able to call you back by voice phone. Ordering by Fax: (425) 402-8181. Please include your phone number, email address, billing and shipping address as well as the part numbers you wish to order. Your payment information will also need to be listed within your fax (credit card or purchase order; see below). Please keep in mind that our email link is not intended for secure transactions, so we don’t recommend providing complete credit card information by email. The best option is to explain what you want to purchase by email sales@kinesis.com and call or fax your credit card information. In your email, please make sure to include your complete billing and shipping address as well as your phone number and desired method of shipment. For online orders and payments via credit card, we accept Visa, MasterCard, and American Express. If a credit card payment is not possible, we accept purchase orders within the US (payment net 30) from major corporations and institutions. If you wish to place a purchase order, contact Kinesis Sales by email sales@kinesis.com to discuss what credit information will be required. Kinesis does not accept personal checks. If you are a company, organization, or educational institution you may mail a check in advance or request Check on Delivery (COD ) payment terms – Company COD’s only, we do not accept COD’s from individuals (COD requires an additional charge levied by the carrier). You should contact Kinesis Sales sales@kinesis.com to discuss these options or other special payment requirements. For International orders, payment via Wire Transfer is available. There is a $30 fee associated with this option. Please contact Kinesis Sales sales@kinesis.com for more information. What are my shipping options for an order within the US? You will have the option to select your method of shipment at the time you place your online order. If you are placing your order through email or via fax, please list one of the shipping methods described below on your order. Kinesis ships via UPS and within the US you will have a choice of Ground, 2nd Day, or Next Day service. Your order will leave Kinesis within two business days of receipt, via the method of shipping you select. What are my shipping options for an International order? For all overseas orders, Kinesis ships via UPS Expedited or Express. For orders to Canada, Kinesis ships via UPS Ground, Expedited, or Express. Each order must be quoted individually. To request a quote please email sales@kinesis.com. Please include the product and quantity with your complete shipping address, including your postal code. Shipping terms are EX Works Kinesis. Recipient is responsible for all duties, customs, and any other fees charged by their respective country in association with the shipment of the product. If recipient refuses shipment, a credit will be issued less the cost of the shipping and handling fees (including return shipping) plus any fees charged to Kinesis as mentioned above. For Canadian orders shipped ground, recipient will be charged (by UPS) a brokerage fee of at least $US35.00 in addition to any other fees referenced above. If product is available, it normally ships within two business days (Monday-Friday) after receiving your order. If for any reason this is not possible, you will receive an email alerting you to the scheduled ship date of your order. Kinesis does not typically process orders the same day they are received. Occasionally, we may be able to honor a special request within the US if it is a business day before 10 AM Pacific Time. 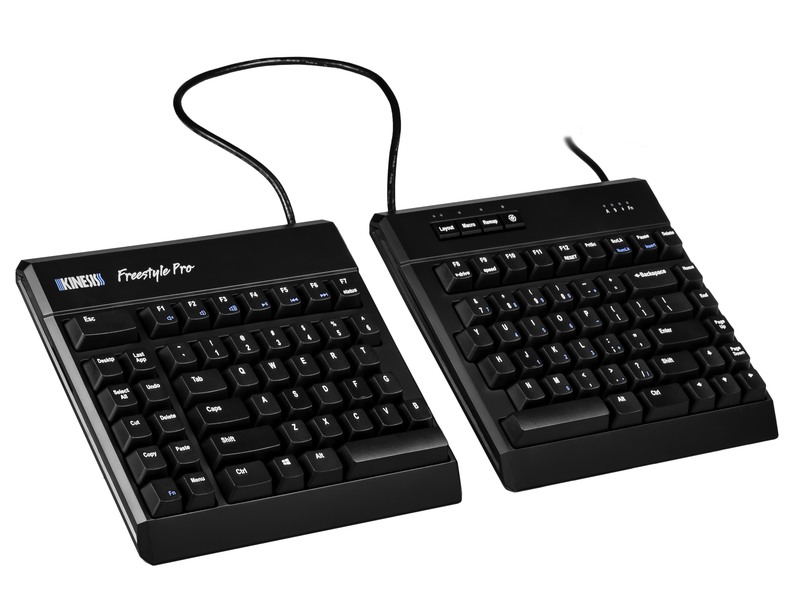 You must call Kinesis Sales (800-454-6374 and press 1 for sales) for availability. Arrival time depends on the method of shipping you select when you place your order. The day your order ships, you will receive an Invoice from Kinesis Sales. Separately, you will also receive a tracking number directly from UPS. Please be sure to use an email address you use frequently so you do not miss important information about the status of your order. If you do not see this information within 2 business days of placing your order, please check your spam filter. If you are still unable to locate the Invoice or tracking number, you may email sales@kinesis.com. Be sure to include your order number. My order has already shipped, am I able to change the address? Contact Kinesis sales@kinesis.com as soon as you notice a problem with your shipping address. You will need to list your Invoice number and the changes you wish to make. Please note, UPS charges a fee for an address correction which is currently $16.40. Additional shipping charges may also be imposed by UPS if the address correction affects the city or state. You will be responsible for all fees related to change of address once your order has shipped. Does Kinesis have US and International Resellers? Kinesis has a network of resellers throughout the world. Please note all purchases through a reseller are subject to their terms and conditions. If you have questions about Reseller return policies and order processing, please make sure to address these prior to placing your order. To see a list of all US and International Resellers please click here. For International customers, we STRONGLY urge you purchase through a Reseller in your country. Kinesis Resellers in the US are not permitted to sell internationally. International orders placed directly with Kinesis are subject to brokerage fees, duties, taxes, and/or tariffs which will be assessed by the shipper and your local customs office once the package reaches your country. It is much more cost effective to place your order through one of our International Resellers. What type of warranty is offered with my purchase? 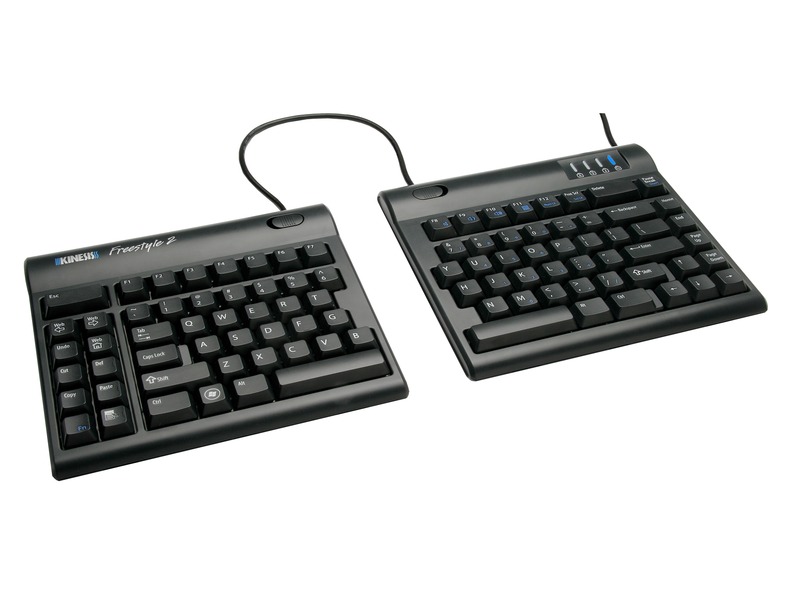 All Kinesis-brand keyboards and accessories, plus DXT2 mice sold by Kinesis or by a Kinesis Authorized Reseller, are backed by a limited manufacturer’s warranty provided by Kinesis to the original purchaser. View the Kinesis Warranty. 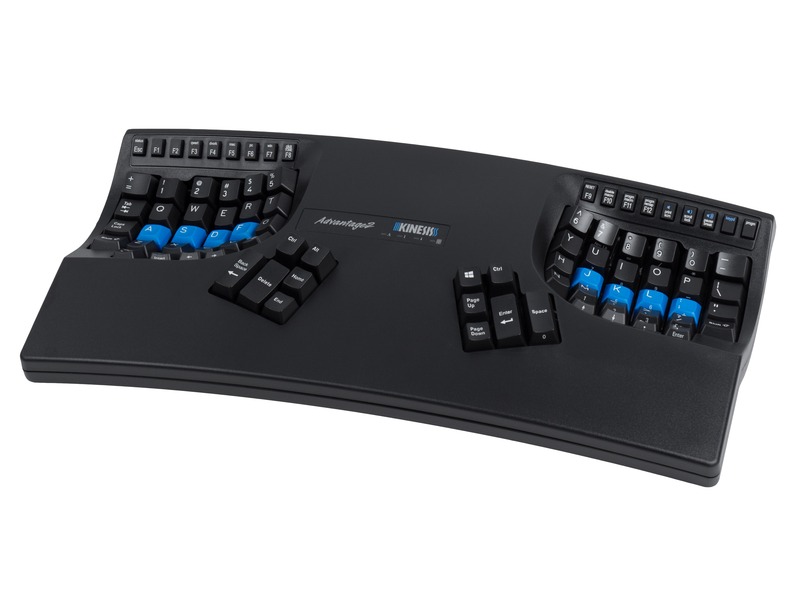 The Kinesis Store sells certain non-Kinesis products, for example Cirque touch pads and Evoluent mice. Kinesis does not provide any warranty on these third-party products, but these products have warranties provided by their respective manufacturers. Please review the included product literature and contact the respective manufacturer directly at evoluent.com and cirque.com for warranty claims. We want you to be completely satisfied with your purchase. If for any reason you are not, products purchased directly from Kinesis qualify for our 60 day money-back guarantee, from the date of Invoice, excluding shipping/handling charges. Note: Return of 5 or more items from the same order will result in a 15% restocking fee. Note: To qualify for these terms, you must have purchased directly from Kinesis Corporation and must arrange for and pay the cost of insured, return shipping. We encourage and support our resellers in providing similar terms. However, if you purchase from a reseller it is your responsibility to confirm their return policy and you must deal directly with the reseller when arranging for a return.